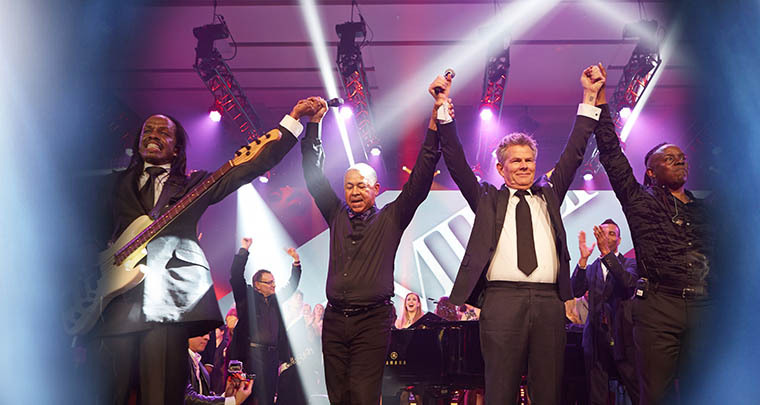 Oct. 11, 2017, Vancouver, BC, Canada – The David Foster Foundation will see more than 30 high-profile attendees gather in Vancouver for the 30th Anniversary Miracle Gala & Concert to celebrate three decades of supporting Canadian families. 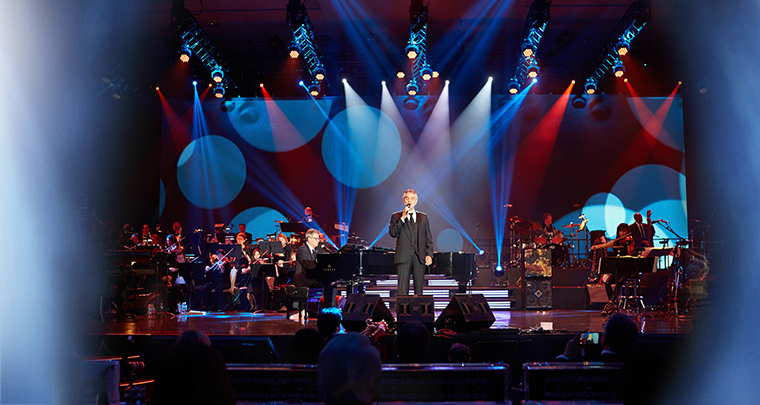 The David Foster Foundation’s annual fundraising gala helps to raise money for families undergoing life-saving pediatric organ transplants. For the past 30 years, the Foundation has supported the non-medical expenses of more than 1,100 Canadian families. When on this journey, many families have to split their time between their home and a city that has one of Canada’s eight pediatric organ transplant centres. Under these circumstances, the medical system does not support these non-medical expenses such as food, mortgage or rent payments, car payments, and flights. The 30th Anniversary Miracle Gala is presented by Parq Vancouver, a new entertainment destination in the heart of downtown Vancouver’s energetic entertainment district. Parq Vancouver is home to the JW Marriott Parq Vancouver and a first-to-market Autograph Collection Hotel, the DOUGLAS. David Foster is a proud Canadian, Recipient of the Order of Canada, Officer of the Order of Canada, 50-time nominee and 16-time Grammy Award winner (including three for Producer of the Year), three time Oscar nominee, Golden Globe winner, seven time Juno Award winner, Emmy Award winner and has the distinguished honour to have his star on both the Canadian and Hollywood Walk of Fame. He is the man behind the biggest hits, with more than half a billion records sold. In 2015, the Peter B. Gustavson School of Business at the University of Victoria recognized Foster as their Distinguished Entrepreneur of the Year. Foster launched the David Foster Foundation in his hometown of Victoria in 1986. Across Canada, the David Foster Foundation financially supports families for all non-medical expenses while their children are undergoing lifesaving organ transplants. Thanks to its annual fundraising efforts and the generous support of national partners like TELUS, WestJet, Aird & Berlis, LLP, Honda Canada Foundation, OUTFRONT Media Canada, and Schnitzer families receive support for expenses incurred when travelling away from their homes to be with their child during transplant. In 2014, the Slaight Family Foundation, Newton Glassman Foundation in partnership with Catalyst Capital Group Inc., Jim & Sandi Treliving, and Tan Sri Dr. Francis Yeoh joined TELUS as the Foundation’s $1 million Life Legacy members. Oct. 6, 2017, Vancouver, BC, Canada – David Foster, 50-time nominee and 16-time Grammy Award-winner, has announced Carly Rae Jepsen will join the star-studded lineup for the David Foster Foundation 30th Anniversary Miracle Gala on Oct. 21, 2017. 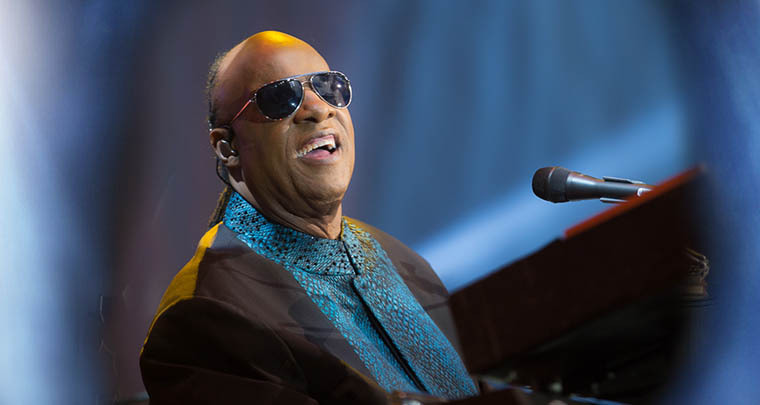 Jepsen joins a lineup that includes Steven Tyler, Jay Leno, Robin Thicke, The Tenors, Matteo Bocelli, and Laura Bretan. 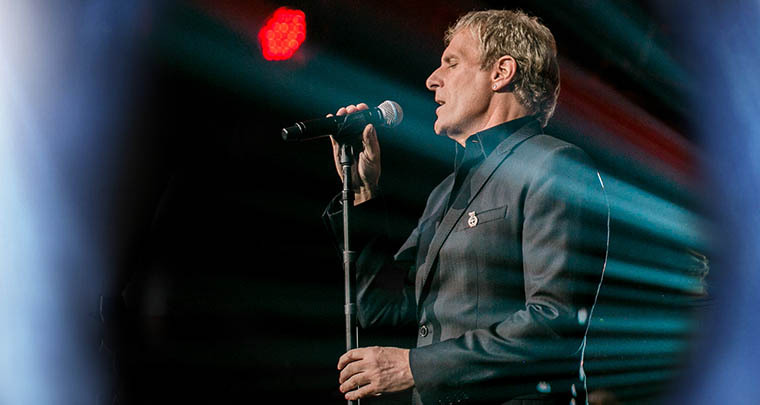 Tickets for the concert portion of the gala at Rogers Arena – headlined by David Foster – start at $49 Cdn, with best viewing options at $119 Cdn (plus fees), and are available through Ticketmaster. Multi-platinum Grammy, Juno, and Polaris Prize-nominated singer/songwriter Carly Rae Jepsen’s 2015 album E*MO*TION earned a host of rave reviews with several outlets – including TIME, Entertainment Weekly, Pitchfork, People, Stereogum, Vulture, Complex, and Noisey – declaring it the pop album of 2015. The set featured the platinum-selling single, “I Really Like You.” One year later Jepsen released E*MO*TION Side B as a gift to her fans and saw it immediately rise on the charts. Jepsen’s US debut album Kiss featured the blockbuster break-out hit “Call Me Maybe” which climbed to #1 on the iTunes Singles charts in over 47 countries, has sold over 20 million singles worldwide and is certified Diamond in the United States. 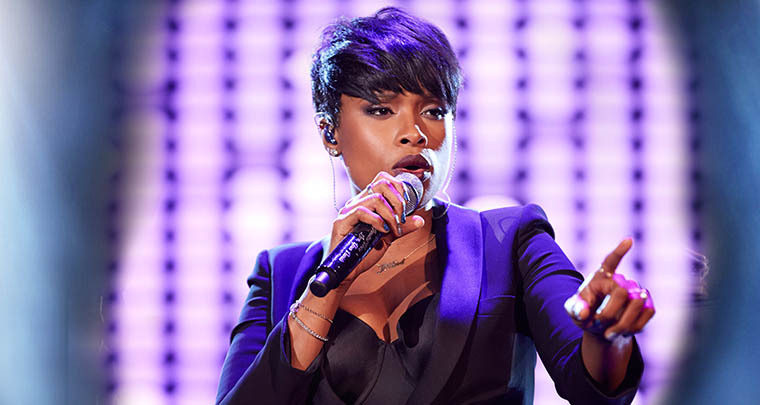 Each year, the event brings celebrity friends from around the world together for one unforgettable evening full of remarkable performances and surprise guests, all curated by Foster— one of music’s most successful producers. 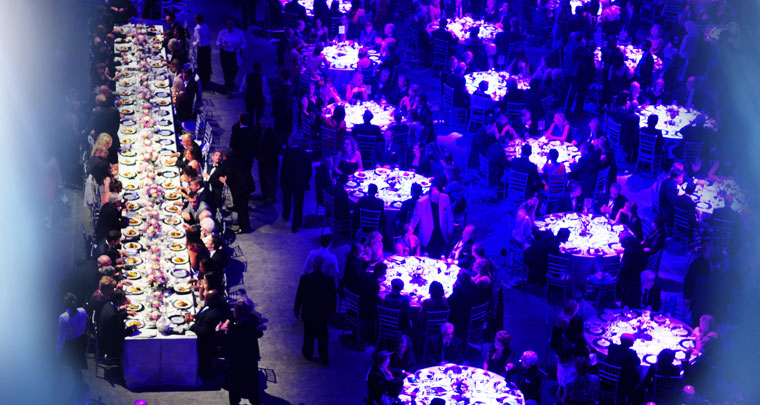 This year’s annual gala is a standout, as it celebrates 30 years of raising funds to support the non-medical expenses of Canadian families with children undergoing life-saving organ transplants. 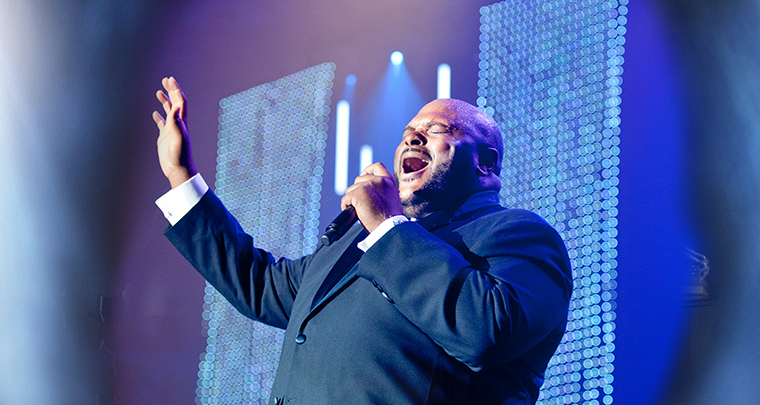 As well as being an important fundraising event for the David Foster Foundation, the annual gala assists in building awareness of the need for increased organ donor registration across the country. The David Foster Foundation has assisted more than 1,100 Canadian families with children in need of major organ transplants and provided millions of dollars in direct family support. The average cost to support one family is $10,000 throughout their transplant journey. The closest pediatric centres for British Columbia transplant families are BC Children’s Hospital, Stollery Hospital (Edmonton), and SickKids (Toronto). The 30th Anniversary Miracle Gala is presented by Parq Vancouver, the newest hospitality and entertainment destination in the heart of downtown Vancouver. From its second-floor entrance at Gate G of BC Place, to its floor-to-ceiling windows and an impressive culinary lineup, Parq Vancouver connects in every way to the dynamic culture and energy of the city. Marking an introduction to Western Canada and bridged by The Parq, 30,000-square-foot, sixth-floor outdoor park, and all of the resort’s amenities, Parq Vancouver features JW Marriott Parq Vancouver and the DOUGLAS, an Autograph Collection Hotel. 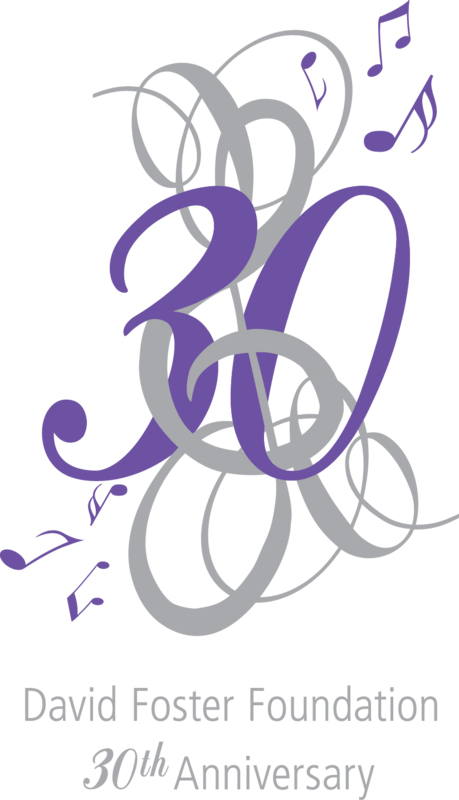 For information on the David Foster Foundation 30th Anniversary Gala, visit www.davidfosterfoundation.com. Fresh on the scene as a leading international entertainment destination, Parq is at the heart of downtown Vancouver’s energetic entertainment district. Built to meet LEED Gold Standards, Parq Vancouver’s dynamic offerings include two luxury and lifestyle hotels within one complex, Western Canada’s first JW Marriott Hotel and a first-to-market Autograph Collection Hotel, the DOUGLAS. Parq Vancouver offers locals and guests instant access to a wide range of amenities, including 72,000 square feet of world-class casino space spanning across two floors and featuring 11 private gaming salons, a 30,000-square foot rooftop park, more than 60,000 square feet of well-appointed, flexible meeting and event space, and eight chef-driven restaurants and lounges from the world’s foremost international restaurant developers and James Beard Award nominees restaurateur Elizabeth Blau, and her Canadian husband, Chef Kim Canteenwalla. For more information or reservations, please visit ParqVancouver.com. 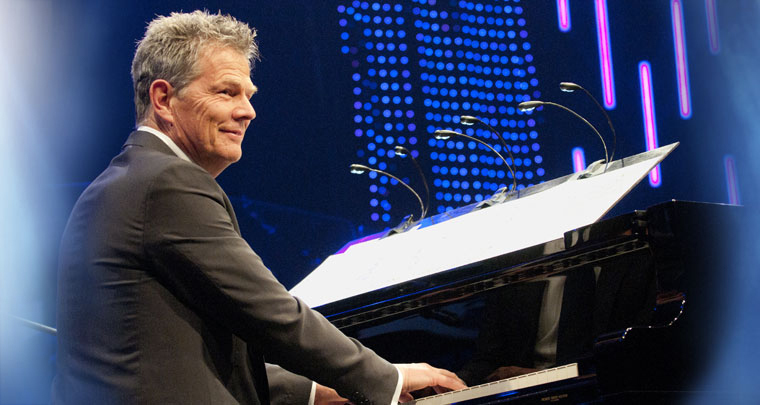 David Foster is a proud Canadian, Recipient of the Order of Canada, Officer of the Order of Canada, 50-time nominee and 16-time Grammy Award winner (including three for Producer of the Year), three-time Oscar nominee, Golden Globe winner, seven-time Juno Award winner, Emmy award winner and has the distinguished honour to have his star on both the Canadian and Hollywood Walk of Fame. He is the man behind the biggest hits, with more than half a billion records sold. In 2015, the Peter B. Gustavson School of Business at the University of Victoria recognized Foster as their Distinguished Entrepreneur of the Year. Foster launched the David Foster Foundation in his hometown of Victoria in 1986. Across Canada, the David Foster Foundation financially supports families for all non-medical expenses while their children are undergoing lifesaving organ transplants. Thanks to its annual fundraising efforts and the generous support of national partners like TELUS, WestJet, Aird & Berlis, LLP, Schnitzer, and Honda Canada Foundation, and OUTFRONT Media Canada, families receive support for expenses incurred when travelling away from their homes to be with their child during transplant. Oct. 5, 2017, Vancouver, BC, Canada – Recent news regarding Aerosmith’s lead singer Steven Tyler postponing tour dates does not impact his attendance at the David Foster Foundation 30th Anniversary Miracle Gala & Concert. 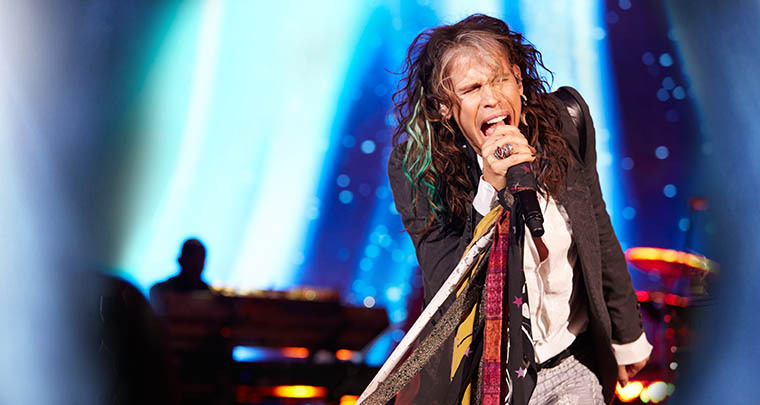 Steven Tyler will return to performing later this month, with his first appearance on stage alongside David Foster on Saturday, Oct. 21 at Rogers Arena. Additional information on the concert is available in the original release below. 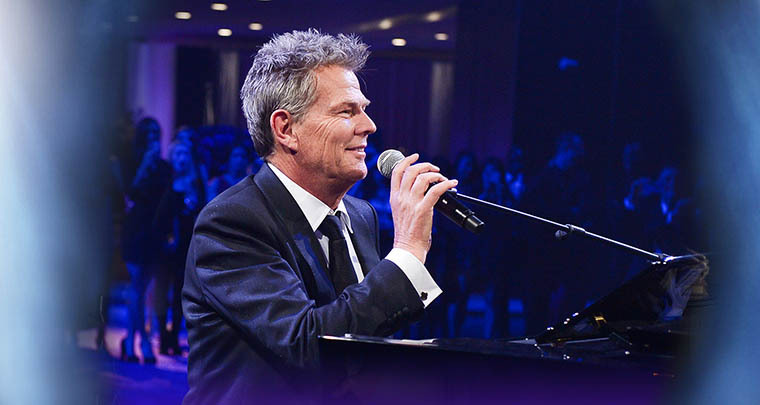 Sept. 18, 2017, Vancouver, BC, Canada – Hosted by mega-producer and 16-time Grammy Award-winner David Foster, the David Foster Foundation 30th Anniversary Miracle Gala will be held in Vancouver on Saturday, Oct. 21, 2017, with tickets on sale via Ticketmaster. 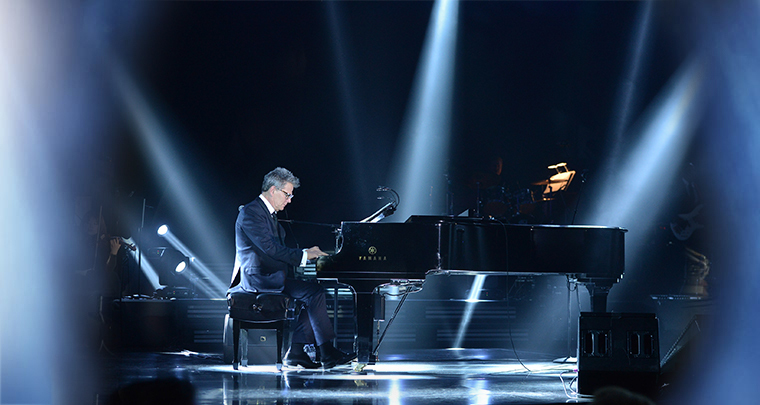 The star-studded event will be headlined by David Foster to celebrate three decades of helping Canadian families. 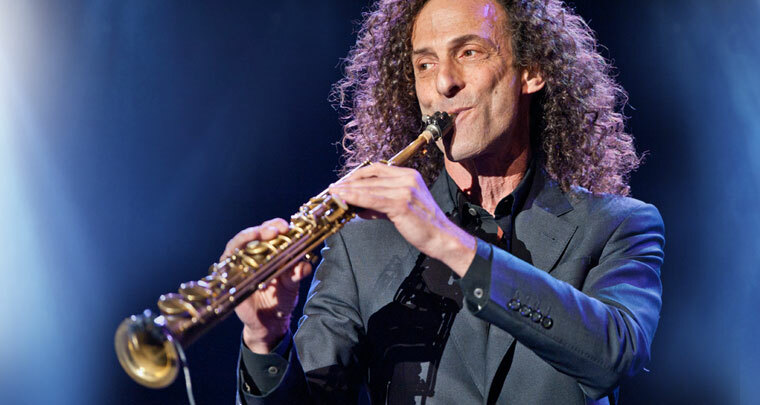 Confirmed to join Foster – with more artists to be announced in the weeks to come – are Steven Tyler, Jay Leno, Robin Thicke, The Tenors, Matteo Bocelli, and Laura Bretan. 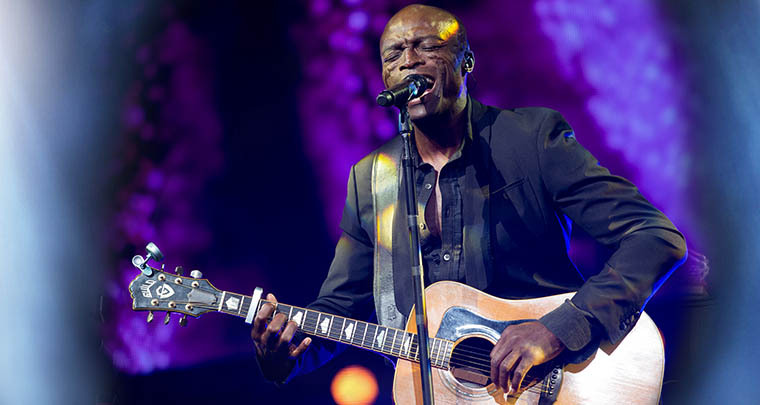 A full line-up of artists is available online at DavidFosterFoundation.com. The 30th Anniversary Miracle Gala is presented by Parq Vancouver, the newest entertainment destination in the heart of downtown Vancouver. From its second-floor entrance at Gate G of BC Place, to its floor-to-ceiling windows and curated art collection, Parq Vancouver connects in every way to the dynamic culture and energy of the city. Marking an introduction to Western Canada and bridged by The Park and all of the resort’s amenities, Parq Vancouver features JW Marriott Parq Vancouver and the DOUGLAS, an Autograph Collection Hotel. 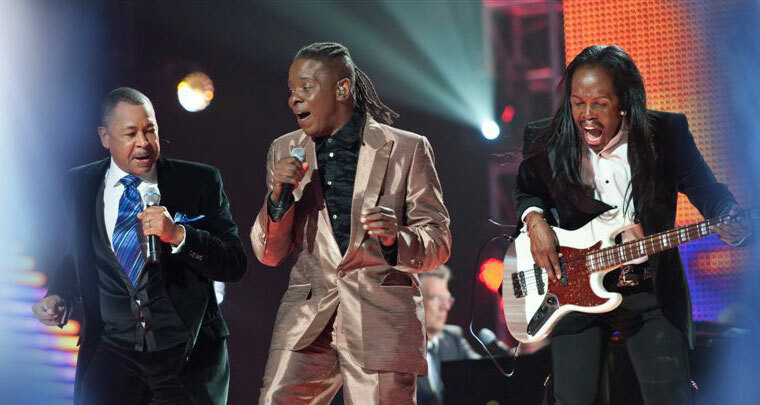 For information on the David Foster Foundation 30th Anniversary Gala, visit www.davidfostermiracleconcert.com. Foster launched the David Foster Foundation in his hometown of Victoria in 1986. Across Canada, the David Foster Foundation financially supports families for all non-medical expenses while their children are undergoing lifesaving organ transplants. Thanks to its annual fundraising efforts and the generous support of national partners like TELUS, WestJet, AMJ Campbell, Aird & Berlis, LLP, Schnitzer, and Honda Canada, families receive support for expenses incurred when travelling away from their homes to be with their child during transplant. 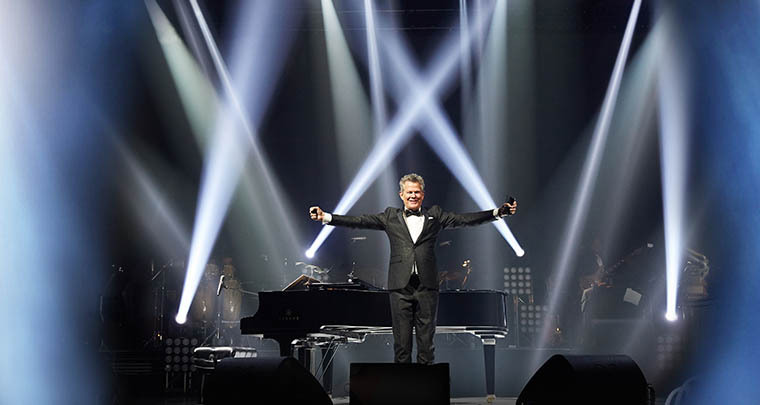 Tickets for the concert portion of the gala at Rogers Arena – headlined by David Foster– start at $49 Cdn, with best viewing options at $119 Cdn (plus fees). 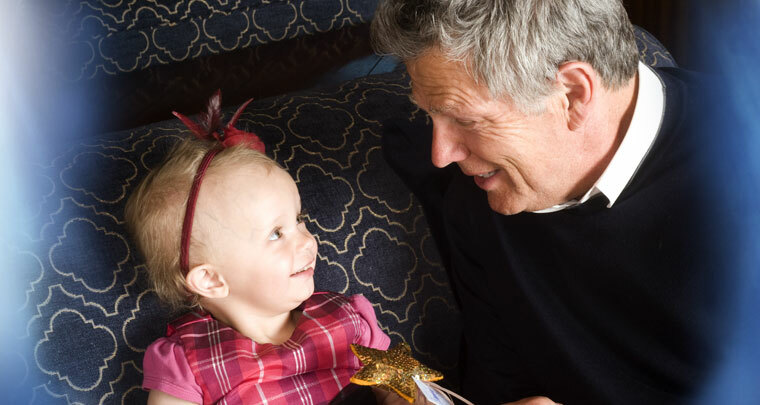 The David Foster Foundation has assisted more than 1,000 Canadian families with children in need of major organ transplants and provided millions of dollars in direct family support. The average cost to support one family is $10,000 throughout their transplant journey. The closest pediatric centres for British Columbia transplant families are BC Children’s Hospital, Stollery Hospital (Edmonton), and SickKids (Toronto). 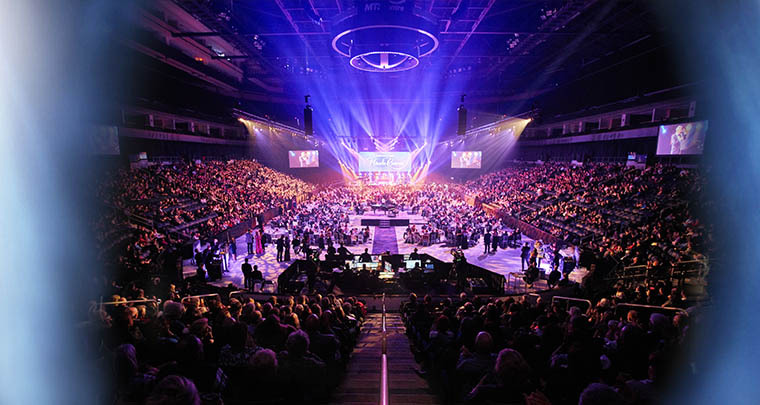 What: Every year, mega-producer David Foster hosts an annual fundraising gala to support Canadian families with children undergoing life-saving organ transplants, bringing celebrity friends from around the world together for one unforgettable evening, and this year it will be held in Vancouver, BC. Foster will be unveiling the details of the 30th anniversary gala at a media event including details on the venue, the red carpet, and opportunities for interviews for the fundraising event. Foster and special guests, including Jim Treliving, star of CBC Dragons’ Den, will be available for individual interviews following the formal portion of the press conference. Long-standing valued partner and Life Legacy member TELUS will be hosting the media announcement at TELUS Garden. Joining Foster will be Coen Wallace, a seven-year old kidney transplant recipient. 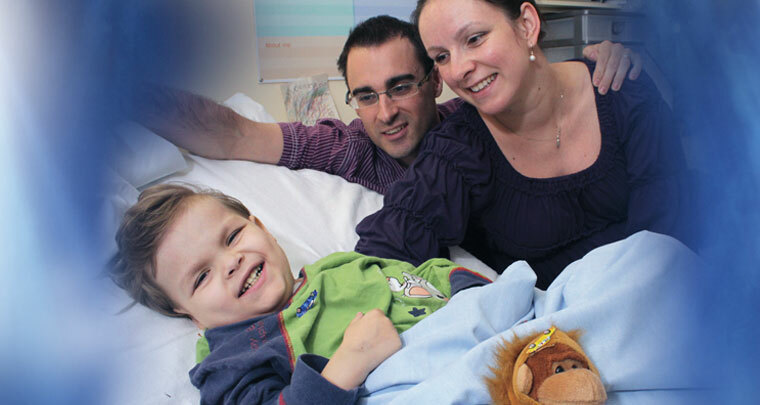 Coen will be joined by his parents; his family received support from the Foundation during their transplant journey. Details of his family story are below. About the event: Funds from the annual fundraising gala support the non-medical expenses of Canadian families with children undergoing life-saving organ transplants. As well as being an important fundraising event for the David Foster Foundation, the annual gala assists in building awareness of the need for increased organ donor registration across the country. When: Monday, May 15 from 10 a.m. to noon. Coen Wallace was born in January 2010 and was diagnosed with Bilateral hydronephrosis, a condition that occurs when urine is unable to drain from the kidney into the bladder. This condition required him to be on peritoneal dialysis 12 hours per day. In fall 2012, the peritoneal dialysis began to fail, and Wallace was listed for a kidney transplant. 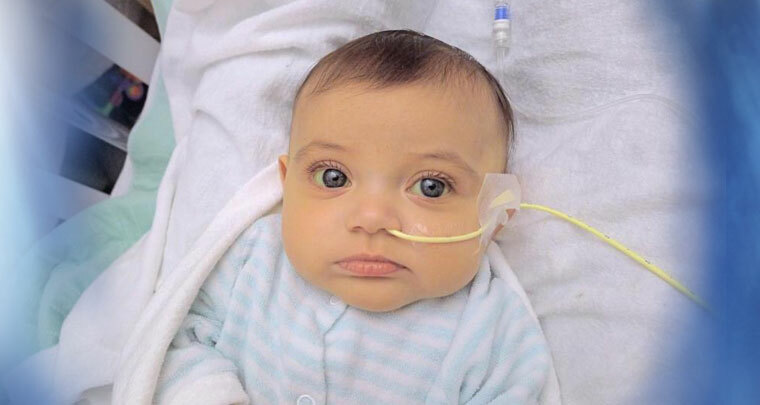 Due to the severity of his failing medical condition the family who lived in Victoria had to travel four times per week to BC Children’s Hospital for hemodialysis to keep him stable while they waited for a kidney donor. While parents, Tannis and Chris juggled their lives between two cities, they waited patiently for a donor as neither of them were a match. In 2012, nearly 37 per cent of the people waiting died while waiting for organs were waiting for a kidney (84 people). On average, kidney patients wait four years or more for a deceased-donor kidney transplants. On Feb. 5, 2015 Wallace and his family received a special gift of a living kidney donor transplant from Don Davidson, a family friend and RCMP officer. Davidson’s gift to Wallace was made possible through his living donation; 35 per cent of kidney transplants are made possible. Throughout their transplant journey, the David Foster Foundation assisted the family with financial support to help with household expenses, parking, gas, and Mortgage so they could focus on their son. Today, Wallace is seven years old, and living a healthy normal life in Victoria. Foster launched the David Foster Foundation in his hometown of Victoria in 1986. Across Canada, the David Foster Foundation financially supports families for all non-medical expenses while their children are undergoing life-saving organ transplants. Thanks to its annual fundraising efforts and the generous support of national partners like TELUS, WestJet, AMJ Campbell, Aird & Berlis LLP, Schnitzer, and Hope Air families receive support for expenses incurred when travelling away from their homes to be with their child during transplant.